"Crichton operates from the very heart of an area called 'verisimilitude,' Comparisons with James Bond's adventures are inevitable; they remain, however, comparisons and not similarities. Dr. Crichton does not mention as many scientific advances as Ian Fleming does brandnames, and his priapic preoccupations are far, far less. Should Bond dynamite a tree, you just know it's going to fall precisely where he wants it; with a Crichton protagonist one is happily, not quite so sure...One regrets that so careful a piece of work should thereby remove itself from art into the area of entertainment. 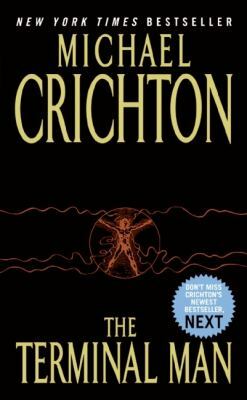 "Crichton, Michael is the author of 'Terminal Man', published 2002 under ISBN 9780060092573 and ISBN 0060092572.